When you tow a travel trailer or RV fifth wheel on the road you experience challenges that you will not encounter in a car, SUV or pickup when not towing. Towing a travel trailer or fifth wheel is a responsibility you should undertake with great care and safety should be your first concern. An accident while towing a travel trailer or fifth wheel can have much greater consequences than one with a small car. 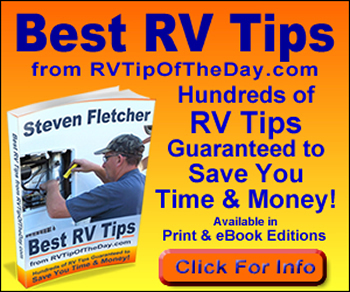 Consider the following safety tips each time you tow your fifth wheel RV or travel trailer. If you are new to RV towing, take time to practice towing your travel trailer or fifth wheel before driving on main roads. Most seasoned RVers recommend finding a large vacant lot and setting up some traffic cones to practice turning and backing. Avoid sudden steering maneuvers that might create sway or undue side force on the travel trailer. Fifth wheels are less susceptible to side force sway but you should still be aware of the possibility. Make wider turns at curves and corners. Because your trailers wheels are closer to the inside of a turn than the wheels of your tow vehicle, they are more likely to hit or ride up over curbs. When uncoupling a travel trailer or fifth wheel, place blocks at the front and rear of the trailer tires to ensure that the trailer does not roll away when the trailer hitch coupling is released. Use slight movements of the steering wheel to adjust direction. Exaggerated steering control will cause greater movement of the travel trailer. If you have difficulty, pull forward and realign the tow vehicle and trailer and start again.